The post-truth world is one in which emotions are more important than facts. This relationship is absolutely exploited by propagandists and disinformation agents. The good news is that many effective instruments for fighting disinformation and propaganda already exist. For many years, East-Central European countries have warned against placing excessive trust in the Kremlin by neglecting the activities of Russia’s quasi non-governmental organizations and the influx of Russian capital into Europe, especially from Gazprom. Back then, those misgivings were attributed to hysteria and alleged Russophobia, stemming from historical events. Today, after the Kremlin’s intervention in key democratic processes, such as elections (USA, France) and referendums (Great Britain, the Netherlands), the Western community seeks appropriate measures to safeguard its societies from foreign influence, not only in a military context, but in the information sphere. The problem has also been noticed by the European Parliament, which in its resolution on June 10, 2016, in addition to mentioning areas subject to propaganda (e.g. falsification of history), pointed to the need for creating a group to tackle deceptive information about the European Union spread by media tied to Russia. In 2016, thanks in part to the report of MEP Anna Fotyga, former Minister of Foreign Affairs of Poland, EEAS East StratCom started regular operations. This and other means are included in the following six steps for combating the harmful effects of Russian messaging in the information war. The law is a great instrument for fighting propaganda distribution channels. On the one hand, it allows the blocking of broadcasts or online publishing and the imposition of high fines. The real possibility of imposing financial penalties on entities that rebroadcast Kremlin propaganda content significantly increases the cost of such activities, and discourages other outlets from working with agencies like Sputnik. In the context of information warfare, however, media regulations are paramount. Latvia in 2014 and Lithuania in 2015 temporarily blocked the Russian RTR-Planeta channel due to their incitement of hatred against Ukrainians. On several occasions, the British communications regulator Ofcom officially identified RT (previously Russia Today) material as being biased, manipulative, tendentious and in violation of the broadcasting code, ordering RT to broadcast a correction. Another method used by Radio Sputnik was to buy airtime on radio stations that had the appropriate broadcaster’s license. This was the case with Radio Hobby from Legionowo in Poland, as well as R-Radio and Radio Monte-Carlo in Georgia. Because the station managers did not contribute to the production of the broadcasts, this meant the illegal ceding of their frequency to another entity, which resulted in the cancellation of their broadcast licenses and financial penalties. Moreover, the rebroadcast of Sputnik’s material by these stations was also met with strong public criticism. Another way to limit attacks in the information war is to introduce changes to legislation and include them in official documents. 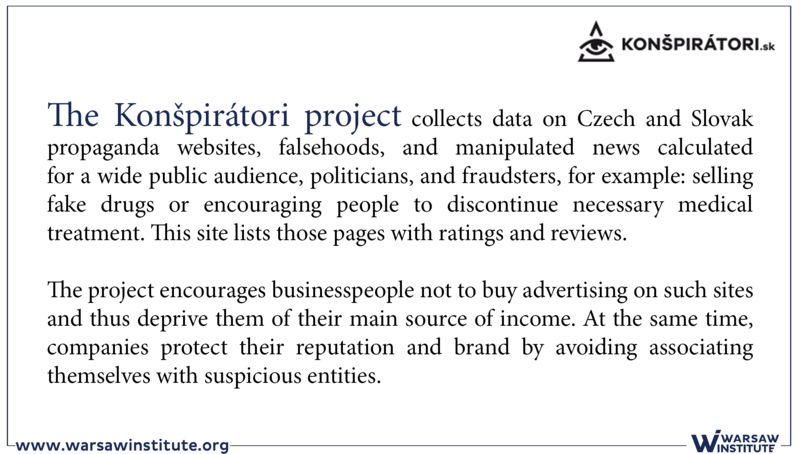 For example, in the Czech National Security Audit, two important chapters were included: “Influence of Foreign Powers” and “Hybrid Threats.” The presence of these chapters allowed for the undertaking of more advanced measures to combat disinformation. One of the recommendations was to create an official unit responsible for information security, which resulted in the establishment of the Center Against Terrorism and Hybrid Threats. The problem for countries that currently face the information war is their past neglect in communicating with the public in a broad context, and improperly communicating official government decisions. The biggest challenge for East-Central Europe is to reach out to Russian-speaking minorities, traditionally well-oriented in information from Russian television and publications. As a good practice in this area, we can see the increasingly frequent launches of official services in Russian, based on the example of the European Union and NATO, and above all, the creation of domestic media. It is worth mentioning the program “Nastoyaschee Vremya” (Current Time), which was created by Radio Free Europe/Radio Liberty (RFE/RL) and Voice of America (VOA). In fact, RFE/RL itself strives to reach its audience in more than twenty languages. Estonia also launched a Russian-language public television channel. 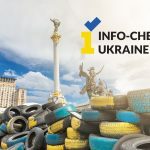 Ukraine, having the most significant experience in the information war being led by Russia, besides excellent citizenship initiatives such as StopFake, through the Ministry of Information, also publishes very well-produced brochures on facts and evidence denied by Russia. Another important issue faced by Western countries is the reluctance to openly call things by name and identify the aggressor. Hence, the aforementioned European Parliament resolution is extremely important as it highlights the specific source of propaganda. While at the bureaucratic level, it takes a great deal of time to push such a strategy, new media, namely social media, is faster. In Poland, reporting on the Kremlin ties of the organizers of anti-Ukrainian activities as well as the actions of other disinformers, propagandists and instigators is done on the Facebook page “Rosyjska V Kolumna w Polsce” (The Russian Fifth Column in Poland), run by Marcin Rey. On Polish Twitter, a leading profile is @Disinfo_Digest, run by the Cyber ​​Security Foundation. 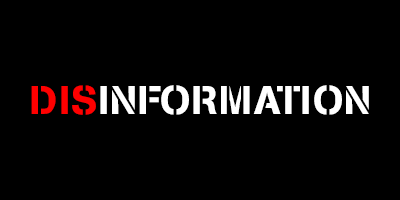 Disinfo Digest is more focused on current fake news and falsifications from Russia, and also collects material on identifying falsehoods and the mechanisms of disinformation. Another interesting project is the Integrity Initiative of The Institute for Statecraft in the UK. The Integrity Initiative accumulates knowledge from other organizations that deal with the subject of Russian influence, and connects people – at the civil society level – working on the same issues. Another think tank seriously analyzing propaganda and disinformation in East-Central Europe, is the Center for European Policy Analysis (CEPA), headed by Edward Lucas, a journalist and expert in the methods of the Russian special services. Another success is the Slovakian project conspiratori.sk (Conspirators) and the French CrossCheck project, joint projects of First Draft and Google News Lab. A relatively new strategy is to provide the public with some of the information collected by the security services. The security agencies of the Baltic republics publish some of their reports where they share their accumulated knowledge with the public. The dissemination of concrete information about the Kremlin’s agents of influence shows the actions of many pro-Russian activists in a new light and undermines their future activities. Many institutions and organizations engage in the policy of revealing false information, simultaneously juxtaposing it with facts. Work of massive proportions is being done by the previously mentioned East StratCom team, which regularly reports on incidents of disinformation in Europe and anti-Western narratives imposed by Russia, in the Disinformation Review, and through their Facebook and Twitter profile (EU Mythbusters). A positive sign on the battlefield against disinformation are the training videos prepared by NATO and the EU, which have the chance to reach younger generations who use the Internet as their sole source of information. The largest initiative, run in several languages, is StopFake, as well as two Georgian projects: Myth Detector/Euro Communicator of the Media Development Foundation (MDF) and FactCheck, which also checks the veracity of politicians’ statements. In the Baltic countries, where it is easy to mobilize the online community, groups against online trolls are growing in popularity. “Elves” are groups of internet users fighting false accounts through which disinformation is spread on social media. Journalists, including Jessikka Aro from Finland, who studied troll factories and their operations in St. Petersburg, and German journalist Julian Röpcke, who was one of the first to reveal the full force of Russia’s engagement in triggering armed conflict in Ukraine, deserve great credit for revealing the mechanisms of disinformation. At present, Röpcke studies Russian influence in Germany, including the links between German politicians and Russian capital, e.g. Gazprom. Similarly, the Czech think tank European Values ​​also runs the Kremlin Watch program. This program aims to investigate and disclose disinformation and influence the operations of the Russian Federation. In deconstructing disinformation, a quick reaction and co-operation with government institutions is key. An example of coordinated, appropriate action, was the quashing of speculation by the Finnish police about the murder of three women in 2016. After the murders, information began to appear in several sources that this was an ethnically motivated murder, that the women were shot because they were Russians, and that the killer was a former soldier. This was a typical example of disinformation, as all three victims were Finns, and the killer had no connection with the army. In this case, a quick official statement stopped the circulation of disinformation. In recent years, many reports, analyses and articles have been written about modern propaganda and disinformation. Nevertheless, it is worth mentioning papers developed by practitioners, experienced researchers, and cross-sectional research (produced through international cooperation). They present examples of the coordination of information operations, the recycling of propaganda messages and fake news, as well as the mechanism of introducing propaganda messages into the media through various channels. Solid pieces of work worth mentioning are from StopFake in Ukraine and European Values ​​in the Czech Republic as practical recommendations for action. Their value is in the presentation of propaganda messages, documented with the source material. StopFake has prepared, among other things, materials on identifying fake news, and a report called European Values ​​— a cross-sectional report on defending against disinformation in EU countries, as well as the fundamentals of protecting elections from hostile interference. The Georgian MDF (Municipal Development Fund) and Transparency International Georgia, are preparing reports analyzing anti-Western and anti-Turkish propaganda in Georgia and distribution channels for disinformation, as well as the financing of media and political parties. Whereas the Hungarian think tank, Political Capital, in cooperation with other European organizations, has prepared reports on the weaponization of culture by Russia and the activities of pro-Russian extremist groups in Central Europe. Important institutions dealing with foreign affairs in NATO and EU countries are the Centers of Excellence (CoE), specialized centers accredited by NATO. 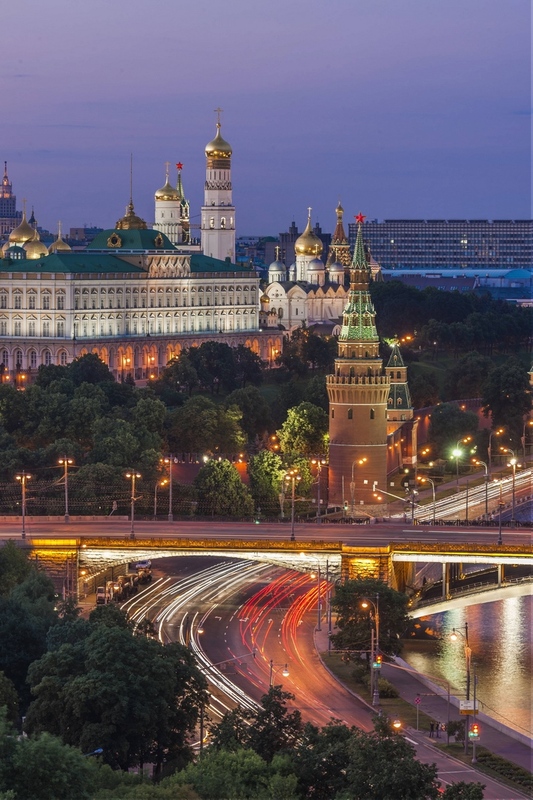 The Strategic Communications CoE in Riga, Latvia has published a series of online publications on the tools and mechanisms used by the Kremlin to influence its Western neighbors and their own population. 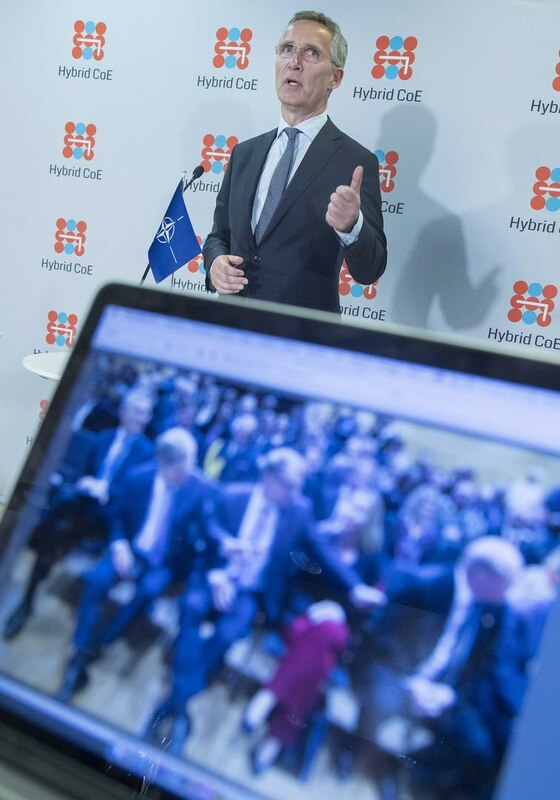 The Center of Excellence for Countering Hybrid Threats, created in Finland, is an example of successful cooperation between the European Union and NATO, which is best illustrated by the attempts of Finnish agents of influence in the Kremlin to create an organization patterned after the Center. In terms of research and analysis, the Strategic Communications CoE is the leader, having released more than a dozen practical studies of examples of influence operations. © MAURI RATILAINEN (PAP/EPA), Helsinki, Finland, October 2, 2017. Jens Stoltenberg , NATO Secretary General, speaks at the opening of the European Center of Excellence for Countering Hybrid Threat) in Helsinki. Finland has been at the forefront in the fight against hybrid threats which include cyberattacks and hosts the center which is only open to EU and NATO countries. The twelve countries that have joined so far are Estonia, Finland, France, Germany, Latvia, Lithuania, Norway, Poland, Spain, Sweden, Great Britain and the United States. In addition, Alliance countries such as Denmark have decided to train their soldiers in combating disinformation before they are posted to NATO service. Other Nordic countries, especially Sweden and Finland, place great emphasis on media literacy in schools already, which is shaping good habits in using the media and the ability to determine their credibility. The Czech NGO People In Need, through the One World in Schools project, supports teachers who want to tackle the subject of disinformation campaigns with their students. The failure of critical thinking is pointed out by experts as one of the main causes of the popularity of “alternative media.” First Draft, the co-creator of CrossCheck, is a platform dedicated to raising the standards of online journalism and information sharing online, but its activities are especially important because it brought in Google, Facebook, YouTube, Twitter, and other popular news sites as partners in its network. 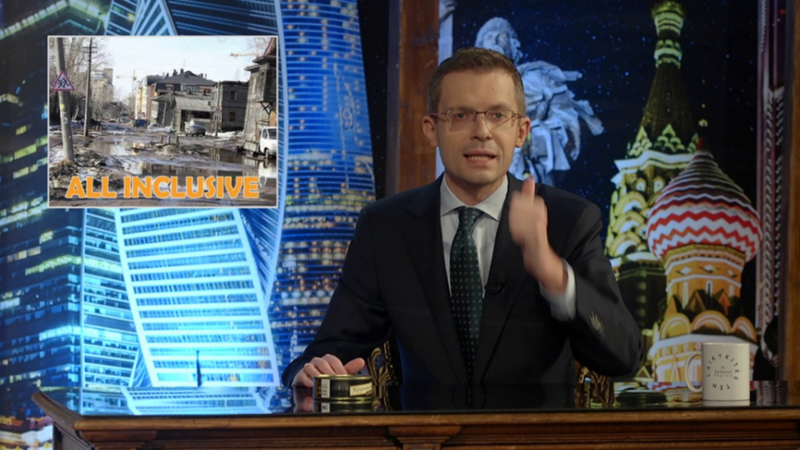 Frame from the program of the Lithuanian journalist Andrius Tapinas “Derżites’ tam!”. The name is a paraphrase of Dmitry Medvedev’s response to complaints from Crimean pensioners, who pointed to huge price increases. Awareness of the origins of some outlets allows this knowledge to be appropriately used in such a way as to protect one’s employees or citizens from unwanted contacts. Once again, using an Estonian example: the Internal Security Police of Estonia discouraged government officials from contact with employees of Sputnik. Concerned about the use of their image in Sputnik propaganda campaigns, they didn’t even want to be photographed in the company of Sputnik employees. On May 9, 2016, Olga Ivanov, one of the members of the ruling Estonian Center Party, gave an interview with the “Bronze Soldier” (a monument of a Soviet soldier in Tallinn) as a backdrop, and even this appearance was met with sharp criticism from Prime Minister Jüri Ratas. In addition to the powerful weapon of social ostracism, it is possible to use the slightly smaller caliber of humor and satire. Caricatures that ridicule certain social phenomena or politicians are certainly not new, but are nevertheless remain a useful tool for laughing at the absurdity of Kremlin propaganda or the inconsistency between the image of Russia painted by the Russian elites and the reality. An example of the humorous approach is a crowdfunded Lithuanian, satirical-informative program “Derżites’ tam!” (Hang In There!). While the European Values think tank presents the “Putin’s Champion Award,” which “indicates the amount of friendliness and appeasement of Western public figures to the Russian Federation’s policies which are set to undermine its neighborhood and the West.” It is also easier to show the user the unreliability of a given source if, apart from information that discredits Ukraine and glorifies Russia, it also publishes articles about lizard people, Illuminati or the allegedly harmful effects of vaccines. Europe will always be ready for dialogue with Russian society. However, the Russian authorities take advantage of the values that the West gained with great difficulty over the centuries, such as freedom of speech and tolerance. By taking any steps that limit the spread of lies on the web, you must count on the alarm being raised and the invocation of exactly the same values by agents of influence – often people ignorant of whose interests they are really defending. It is therefore important to be able to explain your actions and to have support in research, evidence and in the law. Information attacks are not only limited to disinformation, but also threaten all projects, processes and reforms that strengthen a given country. That is why it is important to bear in mind the potential weak points that are susceptible to information attack, especially in the case of international projects, where it is enough to block the implementation of a project in one country. When implementing new reforms, an appropriate strategy for informing the public should be prepared (which in no way can be synonymous with deception). Strategic communication therefore takes into account not only the diversity of one’s own society and the international community, but also the changes in media usage and the use of the internet. Therefore, in communicating with the public, with customers, with foreign partners and their recipients, it must be done in a way that people will want to hear and that maintains trust in official sources of information. Hence, there is a high level of online activity by EU actors and a movement away from stiff, bureaucratic language, focusing instead on presenting information in the form of infographics or video content. This is also part of a broader concept of one’s own positive narrative – NATO and the EU representatives often say that they are always ready for dialogue with Russian society – it’s not necessary to blame all Russian citizens for the faults of their corrupt elites. Of course, we can discuss the appropriateness and effectiveness of the measures mentioned above to combat disinformation. Nevertheless, the multitude of these tools and their different origins – international, administrative or non-governmental – allow us to gauge how far we’ve come in a relatively short period of time. Not all treatments will be effective everywhere; but exchanges of knowledge and cooperation are important, both among nations, and between government administrations and non-governmental organizations. Our societies should respect different opinions, however, as Lithuanian Foreign Minister Linas Linkevičus said, “[a] lie is not an alternative point of view. Propaganda is not a legitimate form of public diplomacy. It’s our naivety which is preventing us from taking appropriate action, even as the other side advances its undeclared info-war.” It cannot be expected that the Russian Federation, a state based on its intelligence services, will give up using its most well-developed tools and active measures, and stop interfering in the internal affairs of the countries it considers its opponents. But if it uses lies as weapons, everyone has the right to defend against them. European Parliament resolution of 10 June 2015 on the state of EU-Russia relations, European Parliament, Strasbourg, June 10, 2015, http://www.europarl.europa.eu/sides/getDoc.do?pubRef=-//EP//TEXT+TA+P8-TA-2015-0225+0+DOC+XML+V0//EN. RT sanctioned by Ofcom over series of misleading and biased articles, The Guardian, September 21, 2015, https://www.theguardian.com/media/2015/sep/21/rt-sanctioned-over-series-of-misleading-articles-by-media-watchdog and John Plunkett, “Russia Today threatened with Ofcom sanctions due to bias”, The Guardian, November 10, 2014, https://www.theguardian.com/media/2014/nov/10/russia-today-ofcom-sanctions-impartiality-ukraine-coverage. Threats of Russian Hard and Soft Power in Georgia, ed. Lasha Tughushi, European Initiative Liberal Academy Tbilisi, Tbilisi, 2016, http://www.ei-lat.ge/images/doc/threats%20of%20russian%20soft%20and%20hard%20power.pdf. Policy shift overview: How the Czech Republic is one of the leaders in countering Russian disinformation, Kremlin Watch (European Values), Prague, May 10, 2017, http://www.europeanvalues.net/wp-content/uploads/2017/05/Policy-shift-overview-How-the-Czech-Republic-became-one-of-the-European-leaders-in-countering- Russian-disinformation-1.pdf. Center Against Terrorism and Hybrid Threats, http://www.mvcr.cz/cthh/clanek/centre-against-terrorism-and-hybrid-threats.aspx. 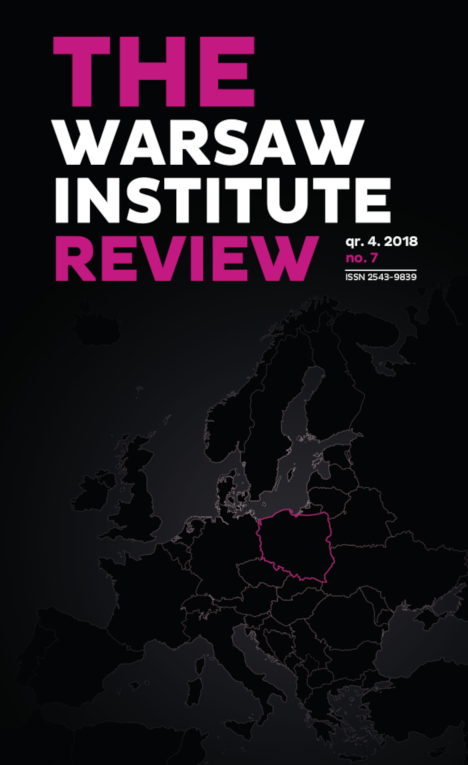 Profile of The Russian Fifth Column in Poland on Facebook, https://www.facebook.com/RosyjskaVKolumnawPolsce/. Disinfo_Digest profile on Twitter, https://twitter.com/Disinfo_Digest. Integrity Initiative Project Website, http://www.integrityinitiative.net/about. The activity of pro-Russian extremist groups in Central-Eastern Europe, Political Capital, April 28, 2017, http://www.politicalcapital.hu/news.php?article_read=1&article_id=933. Denmark to train NATO soldiers to fight Russian misinformation, Reuters, July 17, 2017, http://mobile.reuters.com/article/amp/idUSKBN1A21FU. One World in Schools website, https://www.jsns.cz/cz/article/111/What_is_jsns.html?id=243. Рита Болотская, Как не стать полезными идиотами Кремля: стратегия медиавойн, Ukrinform, May 30, 2017, https://www.ukrinform.ru/rubric-polytics/2237142-kak-ne-stat-poleznymi-idiotami-kremla-strategia-mediavojn.html. Think Tank Website European Values ​​First Putin’s Champion of the Week, http://www.europeanvalues.net/kremlinwatch/putins-champion-of-the-week-en/. Tweet of user @DarthPutinKGB, July 20, 2017, https://twitter.com/DarthPutinKGB/status/888002533331017728. Crowd Fund, Dartha Putin blog, January 25, 2017, https://darthputinkgb.blogspot.com/2017/01/crowd-fund.html.